April 8th, 2013 | Moving Tips. At Bekins, we are always looking for tips and advice from experts on the impact of moving with children. We found a very informative article on this subject and are reprinting it for your education. Although moving has become a common event for American families, it is a “moving” experience in more ways than one. No matter how often families change residence, moving brings with it a variety of emotions and situations. One out of five American families moves each year, and most of those moves are within the same community or to a neighboring state. Moving can be an exciting adventure for families as they look forward to new places, friends, and neighbors. Many families find that the experience of moving often brings them closer. But the general sense of confusion and disorder can make moving both physically and emotionally stressful. While packing, moving, dusting, and sorting take a toll on energy and attention, short tempers and chaos drain the emotions. There is also an element of grief. No matter how eager you are to move, there will be places, things, and people you will miss. When moving is brought about by a death, divorce, or job loss, the sense of loss and sadness is more acute. Sometimes, a combination of the exciting prospect of moving and the sense of loss that the same change could bring produces a see-saw of emotions. Many family members experience emotional ups and downs. Moving is a challenging and difficult experience for a family, especially for children. It is natural, therefore, for parents to be concerned about the effect of the move. Parents often wish to help ease the transition for their children and make moving a positive experience. When faced with a move, it is important to remember that reactions from children will vary depending on their personality and developmental age. The personality of the child is important because it influences the time a child may take to adjust to the move. Some children are naturally outgoing and will be able to make friends immediately while some other children may take months. Some aspects of the child’s personality may tend to get more pronounced. For instance, if your child tends to worry and get nervous, you are likely to see more of this behavior until the child begins to feel more comfortable in the new surroundings. Roller coaster emotions are not uncommon. One day your child may be thrilled and excited, then blue and depressed the next. Generally, infants and toddlers make the transition quite well. They may, however, pick up on your anxiety and stress level, and seem particularly fussy and demanding in the few weeks before and immediately after your move. If your child is being cared for by a caregiver other than yourself, she may go through a sense of loss and not be well able to express it. Older toddlers who have just begun to understand a few basic household rules like “Don’t climb on the counter tops or scribble on the wall” may need to relearn the rules all over again in the new house. Your time and attention are especially important now. Remember to take a break during the rush to hold or play with your child. Be sure to keep any security objects such as a favorite teddy bear or blanket close by. Heaven help the parent who absent-mindedly packs a favorite object away! Keep your routine as normal as possible. Regular eating and nap times are important. Often, preschoolers will express a great deal of excitement over a move, but may not really understand everything that is going on. The details of moving inevitably frustrate parents, and preschoolers tend to think that the chaos and frustration may somehow be their fault. Preschoolers also find it hard to understand what will go with them and what will stay behind. They may not realize that you are taking furniture and toys with you, and often develop great fears for their personal belongings and toys. Also, they may not realize that close friends and neighbors will not make the move. Try to pack children’s things last and include your preschooler in on the packing process. Do not assume that your child understands the process of moving. Explain the move to your child and give reasons for the way you are doing things. Children’s books on moving are listed in this publication. Take the time to read one or two with your child to help him understand the moving process. As with infants and toddlers, keep your routine as normal and predictable as possible. 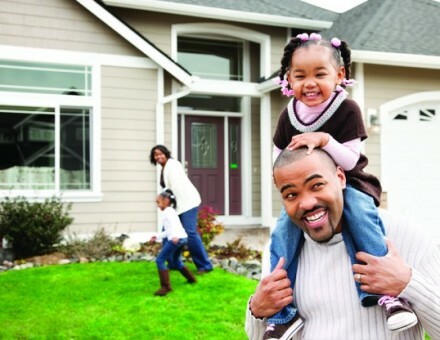 School-age children often are quite excited about a family move and love to become involved in the planning process. School-age children love to develop lists and are very project oriented. Use their enthusiasm and energy to help you get some of your moving tasks done. Relationships with peers are very important for school-agers, and they can understand the effect of the move on their relationships with friends and neighbors. Although they can understand the separation from friends and neighbors that is about to happen, they may not have the maturity to deal with their emotions. Most school-agers are quite positive before and even immediately after the move. A month or so after the move, however, they may become quite angry about the move, especially if they have not had much success forming a group of friends. School-agers still have a very active imagination and may have imagined that the move would somehow make their lives wonderful. When reality sets in, therefore, they may experience a great deal of confusion, frustration, and anger. Scope out the neighborhood before you move. Are there other children your child can play with? If not, where can your child go to meet friends? Is there a community center or club such as 4-H, Scouts, or Campfire nearby? Arrange to visit the school before enrolling your child. Be sure to point out familiar places like the school cafeteria, library, and restrooms. Kids worry about being able to find their way around. Take pictures of your child, new home, and community and encourage your child to share them with others. A farewell party is also a good idea. A farewell party can help ease the pain of good-byes, make the move a concrete event, and help the child accept reality. No doubt about it, moving is difficult for most adolescents. Teenagers are generally very involved in social relationships. As far as relationships go, your teen is now focused on learning how to develop more long-term relation- ships. Most teens feel that involvements with friends and romantic relationships are often unnecessarily interrupted by a move. Although teenagers have the maturity to understand the reason for the move, they may not be prepared to accept it emotionally. Parents need to give teens time and space when preparing for a move. Many parents postpone telling kids about the move, hoping that it will make things easier. Generally it is best to tell them right away. The “grief work” of breaking relationships and saying good-byes takes time, and is best done before the move. Even though teens seem much more advanced in their social skills, they may worry a lot about making friends and fitting in. Be sure to visit their school and check out local activities and employment opportunities for young people. Communities have their own culture and way of doing things, and this is often reflected in the way teens dress. How they look is very important to teens. Before spending money on a new school wardrobe you and your teen may want to do some quiet observation or visiting with neighbors to see what is “in.” Purchasing a “special” outfit can often help a teen feel more comfortable. Parents also can help teens by paying sincere attention to their feelings. Accept your teen’s feelings without getting defensive or lecturing. If a teen can express feelings openly and work through the “sense of loss” with parental support, he will be much less likely to express anger and depression in a harmful manner. How long does it take for your child to really adjust to the move? Researchers tell us that adults and children need time to adjust – often as long as 16 months. For some families, the most stressful time is 2 weeks before and 2 weeks after the move. For many families, however, the time of the move is one when everyone pitches in and works together as a team. It is only a month or so after the move that the reality of friends and places left behind begins to sink in. Frustration, anger, and confusion are common emotions at this time. Moving is stressful for adults and is particularly stressful for children as they have limited coping skills. Other events associated with the move can have a direct impact on how children cope with a move. Financial problems, a death, or divorce can sometimes make the problem worse, and children’s coping skills are stretched to the limit. Parents may then wish to seek short-term counseling for their children. Be understanding. Acknowledge both positive and negative feelings. Let children know that it’s OK and normal to feel anxiety. Watch out for verbal and nonverbal communication. Provide continuity. Much of the stress associated with moving comes from the “newness” and “difference” of things. Try to keep routines and other daily living habits as normal as possible. This is not the time to make a lot of major changes in your family life. Be patient. New adjustments take time. Individuals handle things differently. Some children will ease slowly into a new situation, some will leap in head first. Allow for differences in personalities. Be a good model. Children need to see and hear adults express their feelings and work through problems. A parent that feels comfortable with saying “Gee, sometimes I sure feel lonely,” or “Today I told myself that I was going to meet at least one new person!” can provide a lot of support for children. Promote peer interaction. Hook into the community quickly. Ask a neighbor if he will introduce your child to neighborhood children. Link up with familiar organizations such as Scouts, Campfire, 4-H, and church youth groups. Use children’s literature. Books and movies are wonderful for helping children prepare for and understand difficult situations. Story characters who model successful coping strategies are an excellent resource for children. Reprinted with permission from National Network for Child Care – NNCC. Oesterreich, L. (1993). Moving to a new Home. In series *Understanding children* [Pm 1529g]. Ames, IA: Iowa State University Extension.